Hey folks, it’s August in So Cal, and that means… REALLY Hot & Smoggy Weather!!! It also means that it’s time for the Amigo’s So Cal Summer Vintage Guitar Show in Costa Mesa, CA. And we’ll be there! 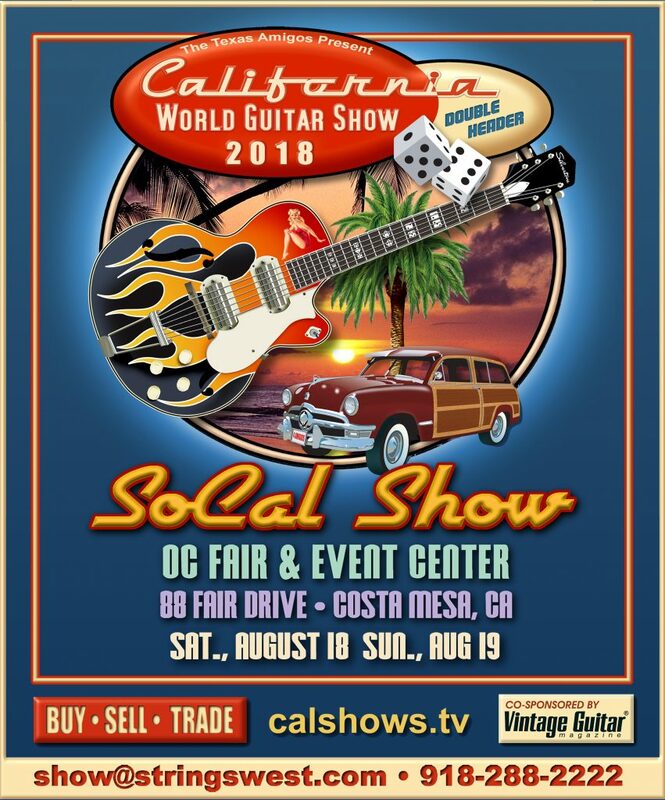 C’mon down to The Orange County Fairgrounds Aug. 18-19, enjoy the cool ocean breezes, and feast your eyes on lots of juicy vintage and new guitars, amps, and El Dorado guitar straps! We’ll be bringing lots of our cool straps, pickguards, engraved Tele parts, as well as some special straps we’re making exclusively for the show. We hope to see you at the Summer SoCal Show in a few weeks! This entry was posted in Upcoming Guitar Shows on August 8, 2018 by Bill Silverman.